Jill DeWit: And I’m Jill DeWit, broadcasting from gorgeous Southern California. Steven Butala: Today, Jill and I talk about when, or when not to partner on a deal. This never goes away. 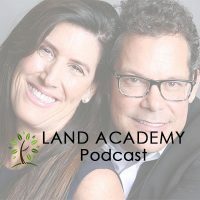 Steven Butala: No matter how large your organization gets, your real estate company, every single time I do a deal that’s larger than 100 grand now, we have that talk. I mean, Jill and I are partners. Some version of this is going to happen for your whole career. Steven Butala: Jill and I, obviously we partner every single deal. Steven Butala: Sometimes we buy property, and put them in one of Jill’s companies. Sometimes we put it into one of my companies. We have companies together. Depending on where we want the liability to fall, but then sometimes we don’t put up the money. Steven Butala: Probably about on … I don’t know, 50% of the larger deals. Steven Butala: We don’t put the money up. Jill DeWit: Exactly, and so we’re doing partnerships. Steven Butala: Somebody else does, and we split it. Yeah. Jill DeWit: I think this is really timely too, because a lot of our members are at that point. Well, a lot of our members get there, but they have a really good mailer, too. Steven Butala: Yeah. They run out of money. Steven Butala: Let’s talk about it today. Jill DeWit: On the one-off, so now we’ll talk it about on the show. Thank you. Steven Butala: Before we get into it, though, let’s take a question posted by one of our members on the Land Investors online community. It’s free. Steven Butala: That’s okay. Jill’s going to have a lot to say about this. Because I overprice. I do the mailers in our organization, and I overprice stuff sometimes. Jill DeWit: Yeah, sometimes that happens. That’s okay. We just talked about that in a member call like a week or two ago, too. Steven Butala: There you go. Steven Butala: Well, Jill is gonna answer this. Jill DeWit: Well, Veronica, it happens, and that’s okay. And it’s … It’s funny, one of the first indications that you know you may have overpriced something is when your phone is just ringing, ringing, ringing right away. All of a sudden the mail goes out, the offers go out, the mail hits, next thing you know everybody wants to sell. Jill DeWit: At your price. And you’re like, “Uh oh, what do they know that I don’t know?” But anyway, it’s part of your due diligence, you always check anyway. Jill DeWit: The whole point of the mailer is to get it out there, see who’s interested in selling, spark a conversation. Either they’re gonna sign it, and send it back. They do want to sell, or at least they’re gonna contact you and want to talk about it, because they really do want to sell. And obviously your offer price is in the ballpark, or they wouldn’t be contacting you. That’s when you go back, and now do your due diligence, and say, “All right, now I really got to look at the property.” You don’t look at it ahead of time. You look at it now. “Now I’m going to look it up and say, ‘Okay, where are we on the back taxes? Is the guy I’m talking to the owner? '” And all of that stuff. Steven Butala: You have more information. Steven Butala: You can make a better decision, yeah. Jill DeWit: And that’s where you’re gonna go, “Whoops. Oh, my gosh. I offered him five thousand. I should have offered him two thousand,” kind of thing? Jill DeWit: “Because there is nothing out there available in that range. I really overdid it.” And it’s okay. And I’ve had those conversations. That’s what we talked about on one of our shows. Do you want me to keep going? Jill DeWit: That’s true. Thumbs up, thumbs down. Steven Butala: This is specifically due to pricing. Let’s say we send out … I’ll use an info lot as an example. Property comes back, we sent an offer out. Our whole campaign offered nine thousand dollars. Let’s say in a rural town in Arizona. Steven Butala: We offer everybody in that info lot nine thousand bucks. We know they’re worth thirty. We know that we can sell them pretty quick. They’re worth probably fifty, so we’re gonna sell them for twenty-five or thirty. The offer comes back at signed. Or Jill talks to them, or somebody talks to them in the office, and it’s nine thousand dollars. What do I do? I go immediately to Redfin, realtor, because I don’t want to make a mistake, and I spend about five minutes on ParcelFact just looking at my pricing. Did I make a mistake? Now we’re ready to pull the trigger on this thing. The seller wants to do the deal. And you know what, probably half the time, I say, “You know what? This is too much. I’d like you to go back and say, ‘It’s too much. '” And there’s always a reason. It’s not like I’m dreaming it up or I’m trying to get a better price. The reason is, properties on this block don’t necessarily … and I price it by the whole town. On this block, they’re cheaper, because it’s across the street from a strip mall that is vacant. Steven Butala: Let’s say. This is a very real possibility. Steven Butala: “And it’s boarded up and I think we’re going to have a tougher time selling it.” So what I do is I take a screenshot of that, all the stuff that I’m looking at, and I put it in the file, and I write my notes, and I move on to the next property. I expect the person … In our case, we have a full-time person who does these deals for us … He goes back and talks to the seller and shares the screenshots with them. Jill DeWit: And a shed that we don’t know what’s in it. Steven Butala: We just didn’t wanna deal with it. We didn’t wanna deal with the potential … We just didn’t wanna deal with it. Steven Butala: And so, it’s not even that we reduced the price on that [crosstalk 00:07:37]. Jill DeWit: So that’s a perfect example. So we got pictures, we got … You know what? This is a great example, because what’s funny, the guy was kinda eager wanting to sell, and that raised a little bit of a red flag for me. So watch for that, too. If they’re really eager and wondering if you’re gonna change your mind or how fast we can do this, that’s a little indication that, do you homework. Make sure. Something’s going on. Steven Butala: You wanna solve a seller’s problem, that we’re in the business of solving seller’s problems. But when they’re insurmountable … Well in this case this guy had a tenant, I think, he had a tenant that just controlled the real estate, you know, like militia. Jill DeWit: Yeah. So I ended up doing just like we’re talking about. I said, [inaudible 00:08:19] … What I’m describing is how I got out of the deal, is what you could do to even lower your price. It’s kind of the same thing. I just went back to him and just said, “Look, you know what? Turns out we don’t want it. This does not meet our criteria, and by the way, here’s some photos of what we found. Because of these potential EPA issues, I don’t even wanna touch it,” you know, kind of thing. And I was prepared, because we started to go down the path, we’re three minutes from opening escrow on this transaction, and I was half-expecting him to be unhappy, but all he wrote back was, “No worries.” So he knew it. So that’s a thing, too. Steven Butala: They’re never surprised. Jill DeWit: When you’re telling people like, “Look, you know what? I kind of went in a little hot with the pricing there, so it turns out I can’t make that work. And I’m so sorry.” And that’s the thing, too: It’s okay to say, “I’m sorry. You know what? I goofed. After careful review, I have looked at it and for these three reasons. You know what? I can do it at this price, and I totally understand if that doesn’t work for you. I get it. I wish you all the best,” but what I do say too is, “If it does work for you, if you wanna sleep on it, by the way,” if they don’t answer right away saying, “Fine, I’ll take it”; if they go, “Oh, man,” say, “You know what? Sleep on it.” This is what I’ll do. “Sleep on it.” I’ll honor it. I’ve got the funds set aside. I can hang out a week, thirty days, whatever you wanna say, and leave the door open to them and let them go sleep on it. And you can say, “Look, I can’t do it at five but I love it at two. I can make two work. So if that works for you, please let me know.” And then let them go. And you’d be surprised … And don’t chase them; don’t harass them. If you really want it for whatever reason, but I don’t. There’s so many deals coming in, it’s too easy to send out more mail. But I just let them go, and it’s shocking how many times they will call back. A few days will go by, they’ve talked to people, they’ve talked to their family members one more time. Nobody still wants the property. You know what I mean? Steven Butala: The vast majority of the time they’ll accept it. Jill DeWit: I hate that guy. I know who you’re talking about. Steven Butala: So, that will catch up with you. Jill DeWit: We don’t do business with him anymore. You’re right. Here’s another thing, and this is my final point. You are not here to scrape the bottom and just get the cheapest, kick-the-seller-when-he’s-down … That’s not what you do. You want to give them a relatively fair price. I had a partner, and I shared an office with somebody named Mark, last initial “P”, and that was his job in life, is to get the absolute cheapest, take-advantage-of-the-seller, possible price. He made a career out of that. And if I sound pissed about it, it’s ’cause I am. That’s not what we’re here to do. We’re here to get the seller out of a situation that they want to get out of and give them a reasonably fair price, where you know you can make some money, too. That’s it. You do not want to take advantage of people. That’s not what this business is for. Jill DeWit: [crosstalk 00:12:53] You want ’em to end hugging you and thanking you, going, “You know what? Nobody else wanted it. You gave me a good for it. You made it so easy. Thank you so much. Now I can afford to do ‘X. '” And they do this. They hug you and wish you well. I have so many conversations with people saying that, “I hope you make so much money on this, ’cause you’re a good person and you did the right thing. Thank you.” That’s what you want. Steven Butala: Today’s topic: When to partner on a deal and when not to. This is the meat of the show. Jill DeWit: Kind of forgot we had a show. Steven Butala: I know [crosstalk 00:13:28]. It’s so important. Hey, by the way, I forgot to mention: Tennessee is like that. I’ve had that exact same experience in Tennessee. Properties are fifty thousand bucks and a quarter mile down the road they’re five thousand. Steven Butala: So when do you partner on a deal, and when not to? Well, very quick takeaway from the show, please retain this, is when you need to or when you don’t need to. Jill’s my partner on all this stuff. You know why? ‘Cause we have a blast. We take a silly real estate deal that’s … It’s real estate; it’s not that fun in and of itself. It’s just buying and selling, but Jill makes it fun, like everything. So that’s when you want a partner. So that’s when decide to have a permanent partner, ’cause you’re having a lot of fun doing what you’re doing. Jill DeWit: That’s cool. I like that. Steven Butala: That’s one type of partner. The other kind is, let’s say you run out of money. 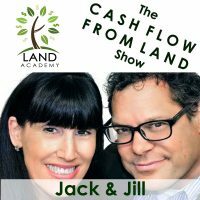 Believe it or not, Jill and I allocate monthly acquisition funds and so, every once in a while we run out of money, especially on some of these larger house deals. Here’s an example: It’s California it’s not unusual to spend a million and a half dollars on a tear-down house that you know you’re gonna sell for a million and a half, plus seventy-five thousand wholesale. And we obviously wanna buy cash. I don’t wanna deal with lenders and the whole thing, so those are good situations where we use a hundred percent of someone else’s capital. Not even ninety. And we pay them let’s say ten percent, and we’re in and out of the whole transaction inside of thirty days. That’s our whole deal. Boy, they love that. Private lenders, they can mop the floor with that. They’re bragging to their friends about that. They’re usually retired couples or retired guys. You turn that four or five times a year, that’s some serious dough. Jill DeWit: And we do all the work. We do all the mail, we do all the expenses, our staff answers all the phones, weed through ’em all till we get that one. So we come to them and we’re like, “Have that one.” They did nothing. It’s awesome. Steven Butala: Exactly. So that’s a great example of everybody-wins partnership. That’s the other thing about partnering deals, and we just alluded to this earlier … Well, we didn’t allude to it. I had a rant. Everybody’s gotta win here. There’s so many people brand new in business or in real estate I come across, and they’re like, “Well, there has to be some type of lying or cheating or stick-it-to-’em somehow; stick the screws to ’em somehow. Somebody’s gotta win and somebody’s gotta lose.” That’s just not how the real world is. That’s how the stock market is. That’s why we’re not involved in that. Jill DeWit: You know what’s funny about this? Can I tell a story now? Steven Butala: You snuck that in this whole show. Jill DeWit: No. Why, why? No, no. Why, why? Jill DeWit: No, but it’s good. Now my point of this is, it probably wasn’t the cheapest or the best, but it was local, it’s a local farmer’s market, so it kinda ties into what your point was about doing the right thing. We’re all here to do the right thing, by the way. And that’s one of the ways that I feel very good kinda overspending, I know it, but I’m helping out somebody else grow their business; I’m helping out someone feed their family, and keeping it local, and I know I’m doing the right thing. I pay more for that. Steven Butala: One of the unintended consequences of the internet, and this is just my old-man opinion, is that we’ve raised a generation thinking that everything’s free, and there has to be profit margin, some profit margin in everything. There just has to be. And if you think you’re getting something for free, I’m sure you’re not. At some point you’re gonna get charged for it, or somebody else is getting overcharged for it, because that’s just not the way the world is. Steven Butala: Every time we hire somebody new, especially I.T. people, they’ll spend two days looking for some I.T.-driven resource that’s free, versus spending fifteen dollars, and it just kills me. Steven Butala: I would rather spend fifty bucks immediately than waste two days of salary. Jill DeWit: And your time, and your energy. Steven Butala: The free stuff’s not usually the best. Not all of cases, but sometimes. So, yeah. There has to be profit, and sometimes it’s not even profit, it’s like, “Well, we have to pay the light bill.” That’s why we’re marking this up, to actually cover the other costs, so that we can turn the electricity on and keep it on. Steven Butala: So when else do you use a partner? When they’re better at something than you. Steven Butala: Jill’s better at all kinds of stuff than I am. Jill DeWit: As a good example, I’ve seen members, I’m just giving examples from our community again, but I’ve seen members partner on deals, maybe they’re new to our community and they’re a little uncomfortable. They have the cash, the acquisition funds. They’re kind of getting rolling. So I’ve seen them partner just to gain experience working with someone, and that’s a perfect example. They even might fund the deal to learn from the other person as they close the transaction, and now they can at least understand, from the time of purchasing through the selling it part, and then they can learn the front end later. But that’s a great time to partner on a deal. Steven Butala: There’s a guy that we know in Texas that … He was the former county commissioner, and I wouldn’t consider doing a real estate deal in that county without him being a partner involved, because he knows everybody at the county. He can get stuff done. He can any property split up. We haven’t talked about it recently, but splitting property is just the greatest thing ever. Talk about adding value without really doing a lot of work, shuffling some paper around and filing some fees with the county. Now you’ve got ten APNs and you started with one. That’s a career, a niche we didn’t talk about yesterday or two days ago. Jill DeWit: Oh, that’s true. That is a good niche. Steven Butala: So you wanna partner who are smarter and better and have better connections and stuff. But here’s a good thing. Here’s an exciting thing: You control everything by sending the mail out. The deal comes to you, you negotiate the deal, you have all the power. You can bring property people in, you can not bring people in. So you always want to be the deal controller. Steven Butala: And unless you’re the money person, when people are calling you saying, “Hey, you wanna partner this?” This happens to me all the time. It happens to me probably three times a week. “Hey, Steve. I’m a member in the group,” or, “I love listening to the show, and I’d love to have you as a partner on this deal.” And my answer’s always no, unless I’m just a lender, or I’m just providing money. There’s a lot of work that goes on with relationships as partnering. I have a lot to say about this. Some people love it. Some people really don’t have anything else to do. Jill DeWit: Yeah. That’s hilarious. Steven Butala: Partnerships are strange things. Relationships are strange things, you know? Jill DeWit: Yes, they are. I don’t know if we wanna go there. Steven Butala: That’s Jill’s nice way of saying, “Zip it.” Hey, well, you’ve done it again. You’ve spent another fifteen, twenty minutes or so listening to the Land Academy Show. Join us next time, where we discuss actual deals where we lost some money. 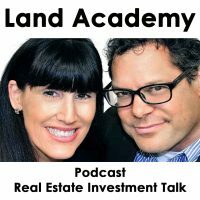 Jill DeWit: And we answer your questions, should you have one, posted on our free online community, found at LandInvestors.com. Jill DeWit: Did we go long? Steven Butala: Oh, I guess we did. That was dangerously close to becoming a rant. Jill DeWit: Some days you’re on those things. I’m … “Nice work,” what? Jill DeWit: Rolled it back in? Steven Butala: Yeah. You sidetracked me and distracted me like Houdini. Like a good musician, you distracted me from the truth. Jill DeWit: Like if you’re running for office and you’re standing on the podium, you’re about to bare yourself. I got in there and I saved you. I created a distraction over here and saved you. That’s me. Share the fun by subscribing on iTunes or wherever you are listening. And while you’re at it, please rate us there. We are Steve and Jill.